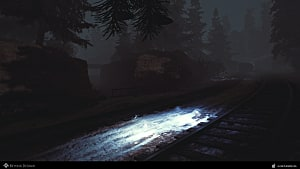 Just over a month ago, Russian indie developer PixelMate gave us the opportunity to not only interview them but take an exclusive look at their survival horror multiplayer game, Beyond Despair. 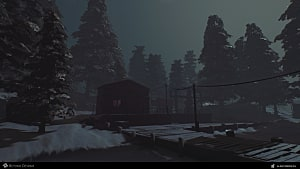 On January 16th they released the game on Steam Early Access. Despite it only being just over a month since I last entered the dark world of Ansora Island, a lot has changed. New basic mechanics such as thirst, hunger and temperature have been introduced, locations have been further developed and all forms of weapons are now at the player's disposal. Assuming they can find them. Since its release I have put in about four hours into the game, experiencing these new features along with exploring the island with its many horrors and mysteries. My original thoughts on the game still stand, even at this early stage of development, it is shaping up to be something quite special. Disclaimer: Beyond Despair is currently in an alpha stage of development. This article is NOT based on a fully developed and complete product. When getting started, you may choose to host a server or join one that is currently active. 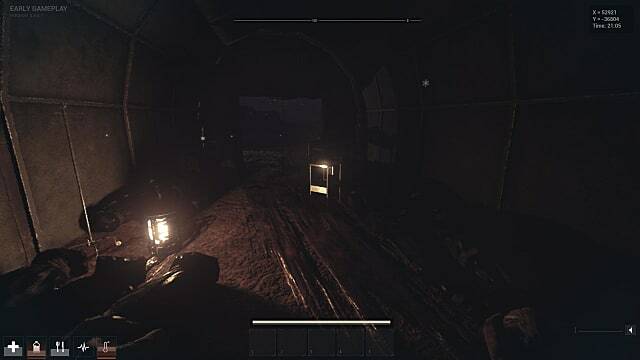 When hosting you can control how many players are allowed on the server or if you wish, you can make it a solo server, allowing you to play the game as if it is single player. I love this decision by the developer, as there are many out there who would love to experience the game but wouldn't if it was multiplayer only. It gives players the best of both worlds, allowing the game to reach a much broader range of audience than if it was exclusively multiplayer. Be it alone or with friends, you will start the game on the southern coast of the island. Generally between the lighthouse and the dock. You will have no supplies or weapons in your possession, making finding some your top priority. 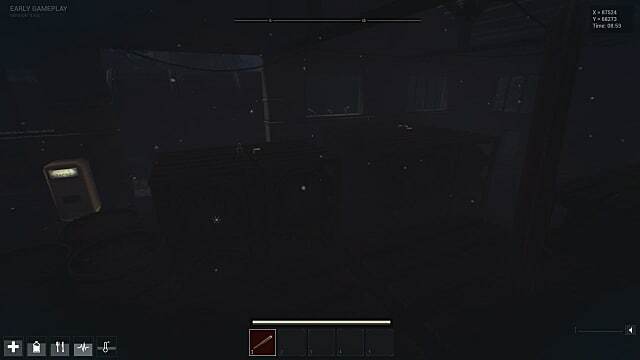 Between the dock area and the lighthouse, you will likely find at least an adequate amount of food and water along with perhaps a basic weapon or two. Of course going to either or none of those locations is entirely up to you. 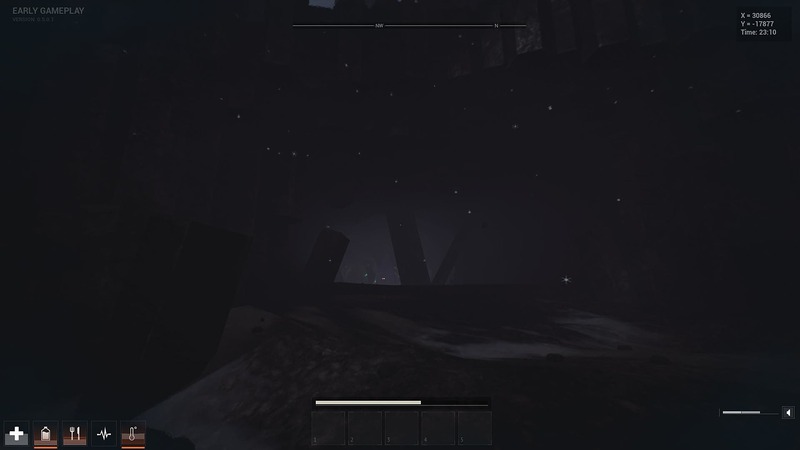 It is a possibility to go in an entirely different direction but they are great spots to find loot, to begin with. With every advantage, there has to also be a disadvantage. Both the dock and the lighthouse have their hostile inhabitants to be found. Wandering both the locations are madmen, individuals whose minds have been altered by the catastrophic event that happened on the island. As they wander around, you will hear them babbling to themselves in a human yet non-human voice "so hungry" and something about "before the light." Without supplies, you can't survive. You have no choice but to search the areas for a weapon and nourishment. How you tackle the hostile inhabitants is your decision. 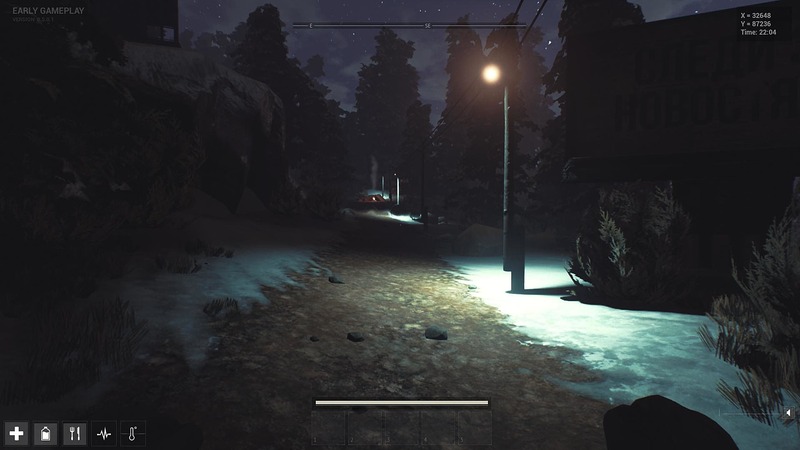 It is a tough beginning to the game but one that really acquaints you with the harsh world. From the moment that you step into Ansora, you are shown exactly how dangerous it is going to be. You will die, that is certain. But each time you do meet your gruesome end, it is very much a learning experience. There is a tutorial that explains all the ins and outs of the game but putting them into use in the real world is a different matter. It is a difficult game but it doesn't pretend to be anything other than that. Personally, I enjoy games that throw me right in the deep end forcing me to figure things out for myself. If you too enjoy it, then Beyond Despair will likely be an enjoyable experience. If it is a case that you don't enjoy such gameplay, it may not be the title you are looking for. Using brute force to make your way around the island is not going to make life easy. The key to survival is more about avoiding or using stealth to take out your enemies. Coming face to face with an enemy should only be a very last resort. As you walk you will make noise that enemies will pick up if they are close to you. The amount of noise made depends on if you are walking, running or crouching and is shown using the sound metre on the bottom right of the screen. Walking fills the metre two-thirds and if running it fills entirely. If you are crouching while moving, however, your movement is silent. 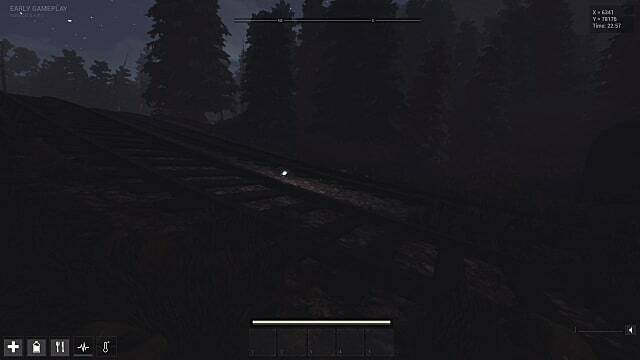 It allows you to sneak around the enemies without them noticing you, as long as you stay out of their line of sight. Alternatively, if you have a weapon equipped, you can sneak up behind them for an instant kill. 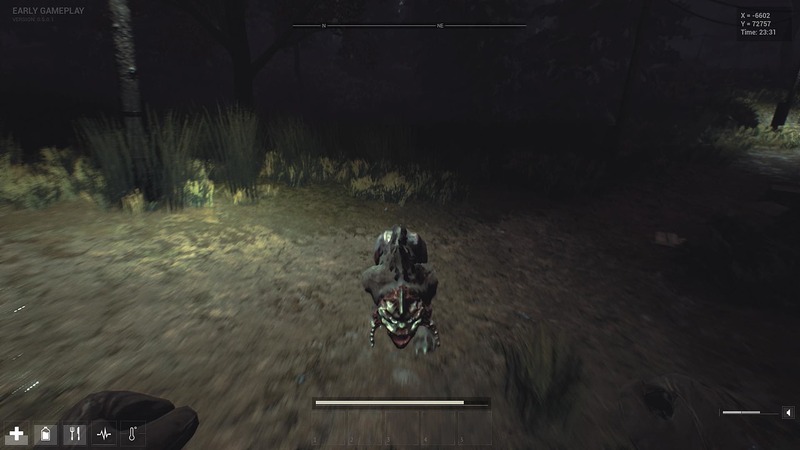 While the stealth kill is an effective tactic for dealing with the likes of the Mad Men, against other enemies, however, avoiding them entirely is the best approach. Dorgs (a mutant doglike creature) for example are one creature best avoided. Just because you only see one doesn't mean there are not more nearby. If one spots you, it will howl alerting all others nearby. Attempting to take a pack of these monstrous K-nines on is almost certain death, even for experienced players. While the combat and stealth mechanics are still in their early stage, they still offer tense, nail-biting gameplay. 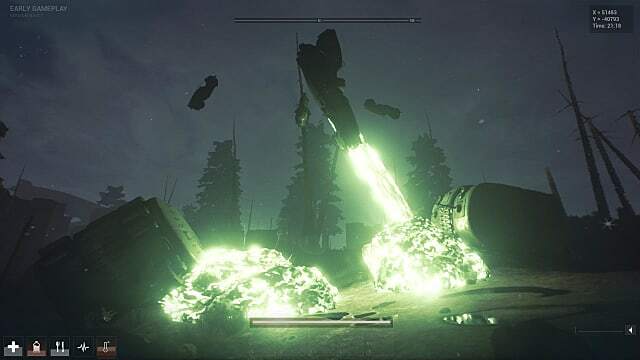 The behaviour of the enemies is each very different, resulting in needing various approaches in order to deal with them. 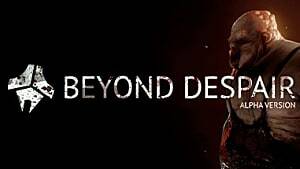 While a lot of games at this stage of development are rather bland or boring, Beyond Despair has enough content to keep you playing for quite some time. Beyond Despair is very much like S.T.A.L.K.E.R Shadow of Chernobyl when it comes to its atmosphere. 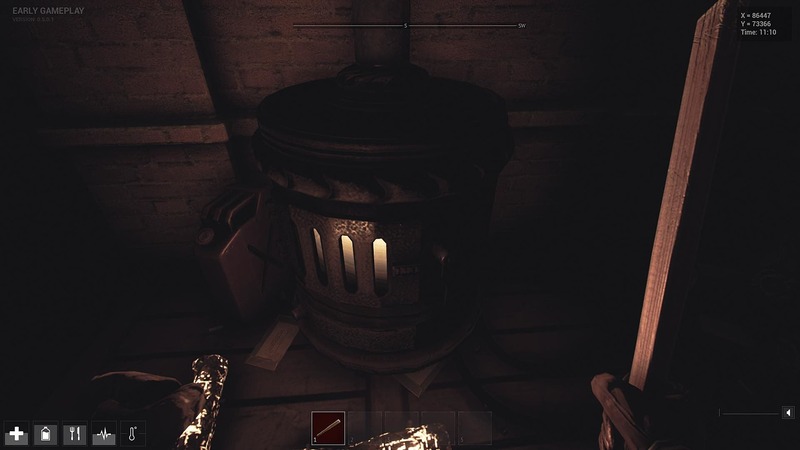 It is not an outright horror game as such but atmosphere along with dark environments results in really unnerving and at times scary moments. While scares are a case of moments, the tension that the game creates is permanent. Not for a second does the game let down when it comes to making the player feel tense. A lot of this is due to the enemies along with the many other ways you can die. You never know when you are going to run into the next enemy as they are capable of being anywhere. Even on a back road that appears empty, you can be sure there is a madman or some other monstrous being hiding in the bushes and shadows. 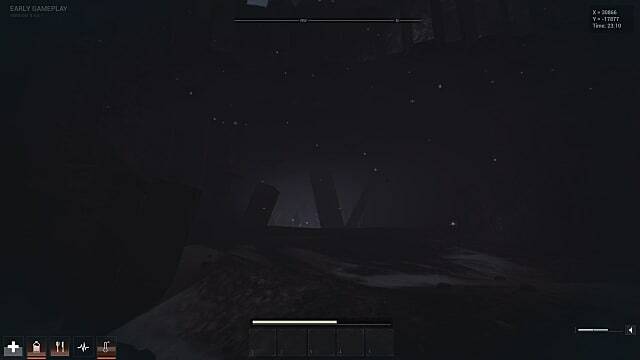 As if ambushing monsters wasn't enough to worry about, you can also die from thirst, hunger and cold. When it is snowing it can cause your body temperature to lower. If it gets too low you will begin to take damage until you warm up again. 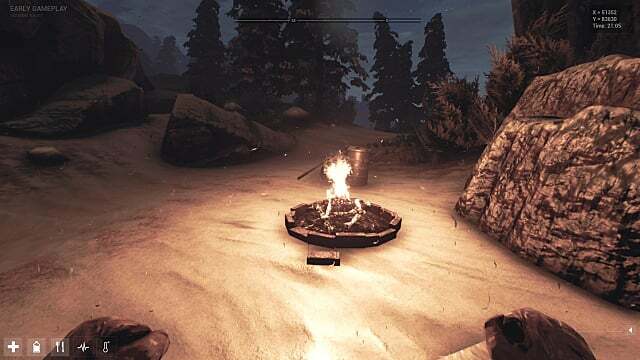 You will be able to warm up by finding shelter, a campfire or a small fireplace in buildings. Despite all of that, I feel the feature that stands out above all else is the design of the island. As I previously talked about in my initial preview of the game, the giant mushroom field is an impressive sight, one that makes you feel like you are in an alien world. There are sights to beholder other than just that of the mushroom field, however. There is what appears to be a war zone that is literally frozen in time right in the middle of an explosion. Cars are frozen in mid-air and other vehicles stopped in their tracks as they turn over. Then there are the unusual mountains that I can only describe as being like The Giant's Causeway in Ireland. Overall the island is only about 4km squared but it is the creativity and imagination that is put into its different areas that make it such a joy to experience. You could give me a world that is ten times the size of the island and it wouldn't have the same impact on me. 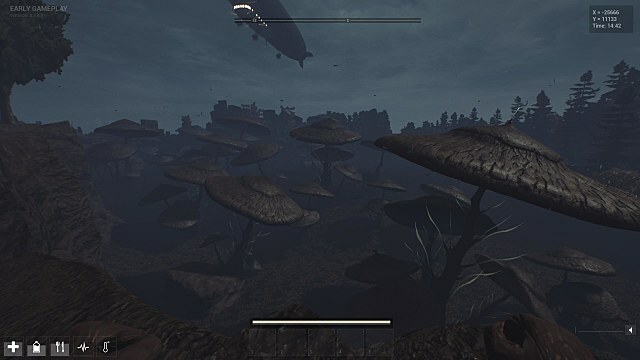 The large worlds of Skyrim or Fallout 3 never had the impact that that, of Beyond Despair, does. The sights stop me in my tracks as I look at them in awe. As I said, it is a beautiful world while also being horrifying and mysterious. 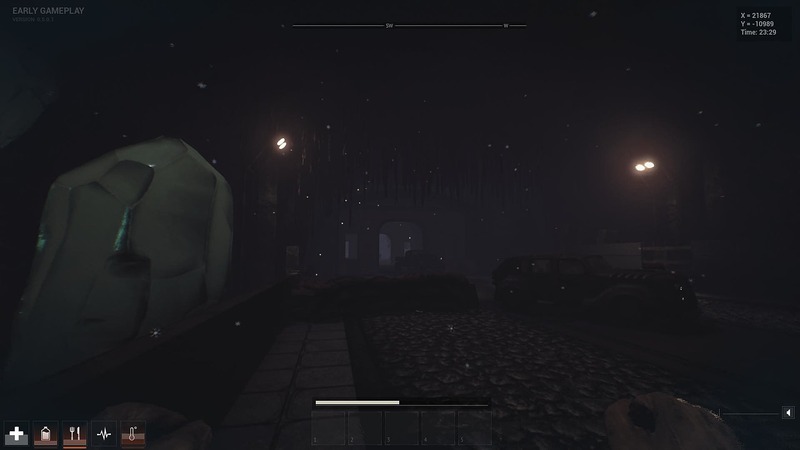 It isn't very often, you can call a world of horror, beautiful and it is that which makes it such a special game. Just like I stated at the beginning of this article, my opinions on Beyond Despair haven't changed from my first preview. Even with the new additions to the game, there is little that I can fault. 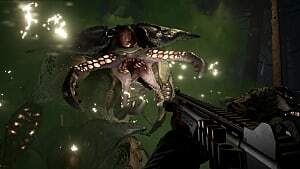 As is to be expected with an Early Access title there are a few balance and technical issues here and there, but nothing that would cause a major hindrance. Whether playing alone or with some friends, it is a game that can cause tension, dread, horror and outright awe. I found that I don't just play Beyond Despair for the gameplay but more for the world it is set in. While the gameplay is great in its own right, it is the world and atmosphere that absorbs me and keeps bringing me back. Ever since I first played the game back a month ago, I have often thought about it, pondering and wanting to know and explore more. Something that very few video game worlds have ever done with me and I can't wait to see it in it's completed state. Beyond Despair is available to buy on Steam Early Access. Disclaimer: A copy of the game was provided by the publisher for the purpose of this preview.